Lipoxygenase, also known as linoleate: oxidoreductase, is an enzyme used in commercial food production. 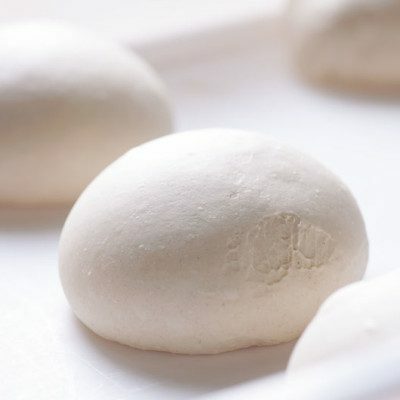 In bread making, it both bleaches flour and improves dough handling. The enzyme is found in plant and animal tissues, but it is most abundant in beans, peas, and potatoes. For use in commercial baking, enzyme-active soybean flour is typically used, although it can also be found in fava bean and other bean flours. Roughly half of the commercially-available enzymes on the market are sourced from genetically-modified organisms. Muzzalupo, I., ed. Food Industry. IntechOpen, 2013, dx.doi.org/10.5772/53168e. pp. 287-288, 295, 300-301, 305-306. Hayward, S., et al. “Lipoxygenases: From Isolation to Application.” Comprehensive Reviews in Food Science and Food Safety, vol. 16, no. 1, 2016, pp. 199–211., doi:10.1111/1541-4337.12239. Last accessed 19 December 2018. Pometto, A., ed. Food Biotechnology. Second ed., CRC Press, 2005. pp. 1006, 1008-1009. Raveendran, S., et al. “Applications of Microbial Enzymes in Food Industry.” Food Technology & Biotechnology, vol. 56, no. 1, Jan. 2018, pp. 16–30., doi: 10.17113/ftb.56.01.18.5491. Center for Food Safety and Applied Nutrition. “Enzyme Preparations Used in Food (Partial List).” U S Food and Drug Administration Home Page, Center for Drug Evaluation and Research, www.fda.gov/food/ingredientspackaginglabeling/gras/enzymepreparations/default.htm. Last accessed 19 December 2018.